Our most valuable service SureTouch Breast Exam uses a portable hand-held tactile sensing device that is far more sensitive than human touch and can detect in real time lesions in the breast as small as 5 mm. It also measures the elasticity of the lesion. And the results are instant: no waiting anxiously for test results. If you are looking for a choice for breast exams in Orange County you have found SureTouch, a new type of screening for breast cancer. SureTouch breast exam technology is not sound waves, x-rays or any type of invasive process, like that of other screening procedures. SureTouch technology is tactile, simply put, the sense of touch. There are 192 sensors in the small probe used to measure the breast tissue. It is far more sensitive than the human touch. Women find lumps in their breasts all the time. Statistics say that most breast cancers are found by self-exam or by accident, not by modern medical technology. The important issue is that we cannot feel a lump until it is 10mm in size which means the lump has been growing for quite some time before it is found by self exam. SureTouch is FDA approved to document palpable lesions; it is capable of finding lesions as small as 5mm in size, and is not limited to the portion of the breast which may be imagined with mammography. This means SureTouch can locate the lump anywhere in the breast tissue including in the armpit area, years before you could find it yourself. OC Breast Wellness is currently the only center for breast health offering this choice in Orange County at 11770 Warner Ave, Suite 111 Fountain Valley. Now we have a safe, affordable, radiation-free and painless way to exam breast tissue. For a woman who is examined, the odds are very good that she will not have breast cancer. Women should no longer be afraid to get tested at a women’s health clinic or center for breast health. Despite recommendations, most women do not get mammograms in Orange County. Only one half of the eligible women in the United States get mammograms. In 2009 the US Preventative Task Force, an independent panel of non-federal experts in prevention of breast cancerrecommended that the age a women should get a mammogram screening be lifted from 40 to 50 due to the radiation exposure. This is now confusing women about testing. SureTouch is not like the mammography process which uses a mechanical device that squashes the breast tissue and there is no waiting in for results. SureTouch exams give immediate results eliminating unnecessary anxiety and stress. If SureTouch locates a lesion the system will document the size, shape, hardness and location of the mass in real-time. The system stores a tactile video of the breast tissue. The FDA in 2003 recognized SureTouch as a device for producing surface map of the breast as an aid to document palpable breast lesions identified during a clinical breast exam. This is another reason why it is beneficial to have choices for breast exams for the detection and prevention of breast cancer. Call OC Breast Wellness today at (714) 363-5595 for an appointment or a free consultation about your risk. 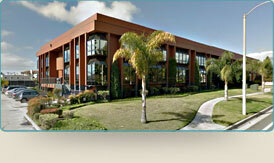 OC Breast Wellness is proud to be the only SureTouch center for an alternative to the mammogram in Orange County. Contact OC Breast Wellness, an Orange County Center for Breast Health with a safer, non-invasive alternative to mammography screening.